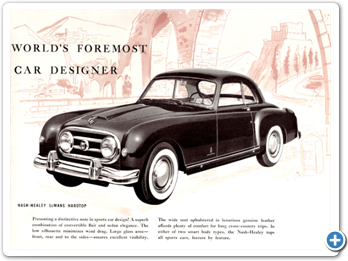 Nash-Healey was America’s first postwar sports car and was marketed by Nash-Kelvinator Corporation for four years, beginning in 1951. 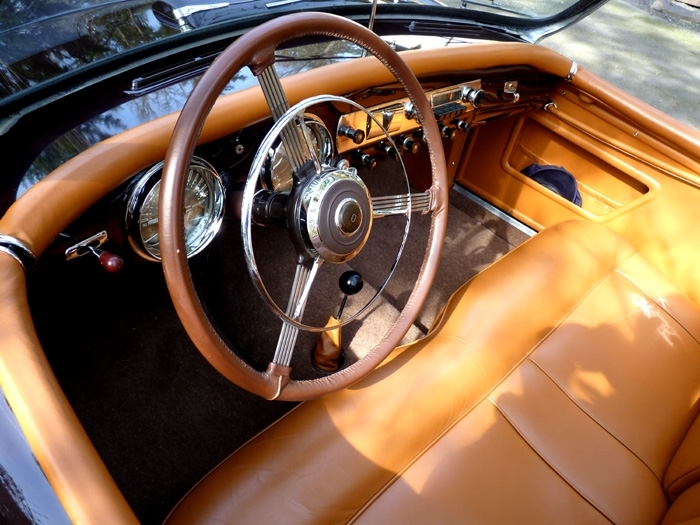 The cars were initially designed by Donald Healey, with Nash providing the drive train. 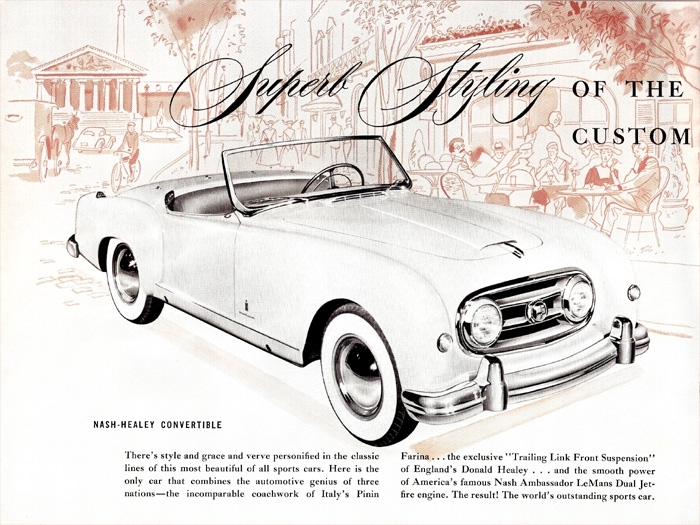 Although Healey provided the chassis for all four years of production, Nash contracted with Italian coachbuilder Pininfarina to design and build the bodies for the ‘52-‘54 models. 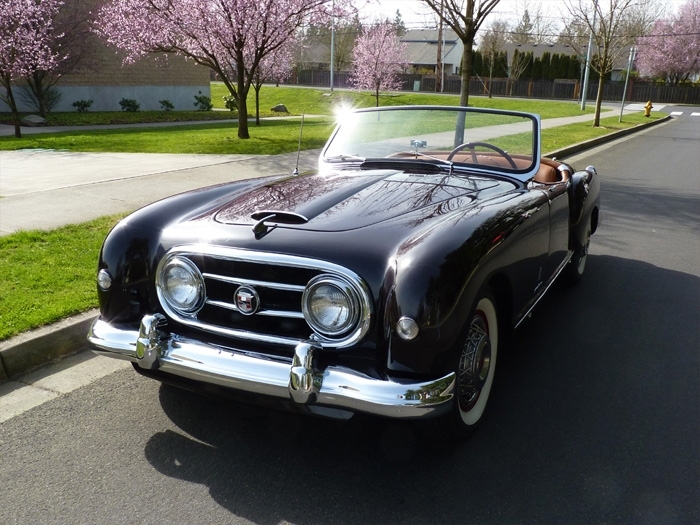 With the exception of the 1951 model year, each Nash-Healey began its life in Wisconsin, became a rolling chassis in Warwick, England, received its body in Turin, Italy, and was shipped back to the U.S for distribution and sales. 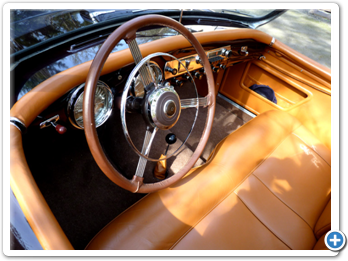 For this particular Nash-Healey, Owners Matt and Karla Hackney have accomplished an extremely difficult task: restoring a car from an unassembled collection of parts, or a “car in a basket,” to a car they drive with pride. The total production number for all model years, coupes and roadsters combined, is just 506, so one can imagine how rare the parts are. 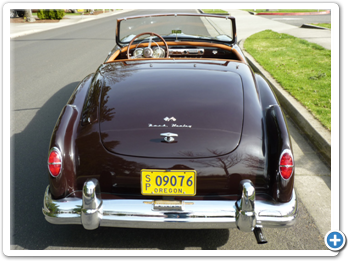 In the long run, Matt and Karla ended up trading the coupe parts car for a roadster parts car. 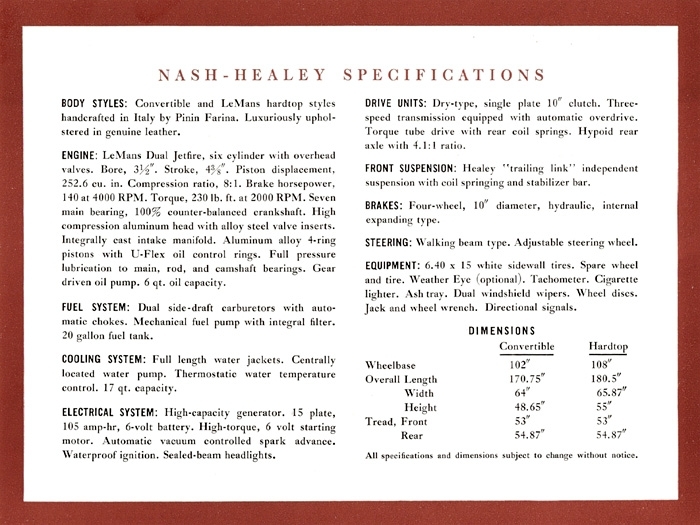 The added benefit of purchasing the parts cars was selling parts to other Nash-Healey owners. 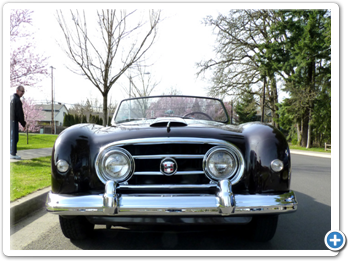 The Nash-Healey is in great shape with its rebuilt engine, new paint and interior, replated chrome, and new wiring loom (purchased from YnZ’s Yesterdays Parts). Matt and Karla like their Nash-Healey because one just doesn’t see them every day and they like the fact that it is a big sports car. Before wrapping up the interview, Matt said he wanted to make a disclosure regarding the cars ownership. 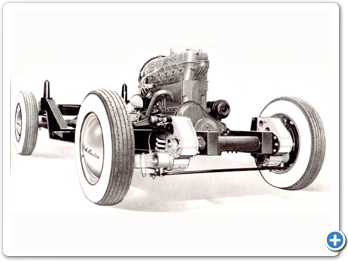 The Hackney’s future plans include improving the front suspension and restoring the side curtains. 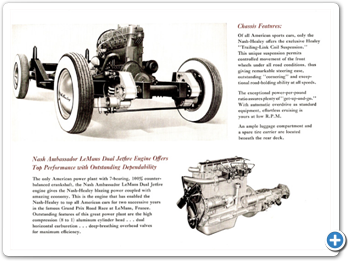 A portfolio of automotive articles drawn from contemporary magazines covering road and comparison tests, new model introductions and updates, driving impressions and performance data on Nash vehicles between 1949 and 1957. 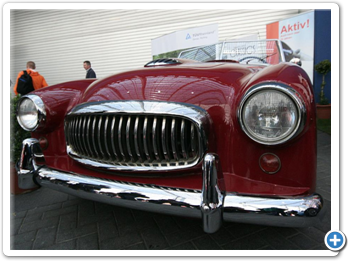 Models covered are the Ambassador, Statesman, Rambler, Airflyte, 600, and the Anglo-American Nash-Healey sportscar. This book explores the business history of the Nash Motor Company, the Hudson Motor Car Company, and the American Motors Company. 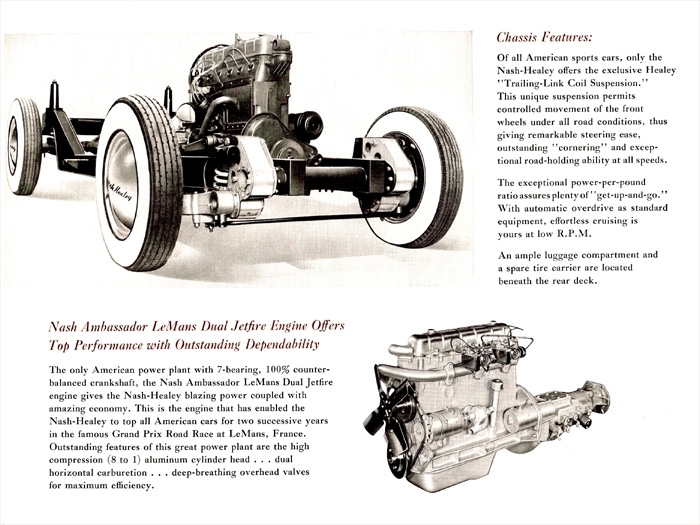 In Storied Independent Automakers, renowned automotive scholar Charles K. Hyde argues that these companies, while so far neglected by auto history scholars, made notable contributions to automotive engineering and styling and were an important part of the American automobile industry. This book examines more than a dozen Nash examples from 1929 to 1962, including distinctive prewar models, such the Special 8 convertible, to the lovable Metropolitan. This book covers the history of American Motors Corporation, which was formed by the 1954 merger of Nash-Kelvinator Corporation and Hudson Motor Car Company. At the time, it was the largest corporate merger in U.S. history. American Motors (AMC) purchased Kaiser’s Jeep operations in 1970 and partnered with France’s Renault, from 1980 to 1987, when Chrysler purchased AMC. After World War II, race car driver and RAF pilot Donald Healey founded the Donald Healey Motor Company in Warwick, England. He began producing “Healeys”: four-seat coupes, convertibles, and a sports car called the Healey Silverstone, after Britain’s new Grand Prix race track. From ‘46 to ‘54, about 800 Healeys came off the line, approximately 100 were Silverstones. 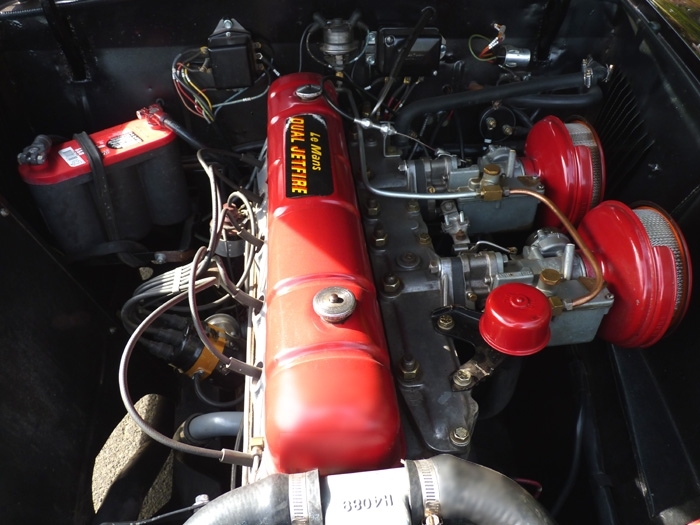 The Healey Silverstones did so well on European race tracks that race car driver Briggs Cunningham asked Don Healey to customize a Silverstone with Cadillac’s new 1949 overhead-valve engine. 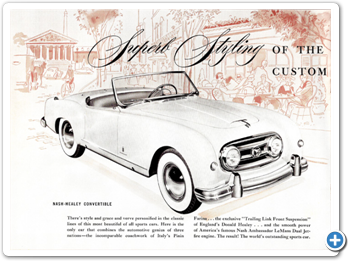 The Cadillac-powered car was such a success that Healey traveled to America to purchase more engines from Cadillac, but Cadillac refused. While on board the Queen Elizabeth ocean liner, Healey met George Mason, Chairman and CEO of the Nash-Kelvinator Corporation. Sharing an interest in photography, the two men struck up a friendship. 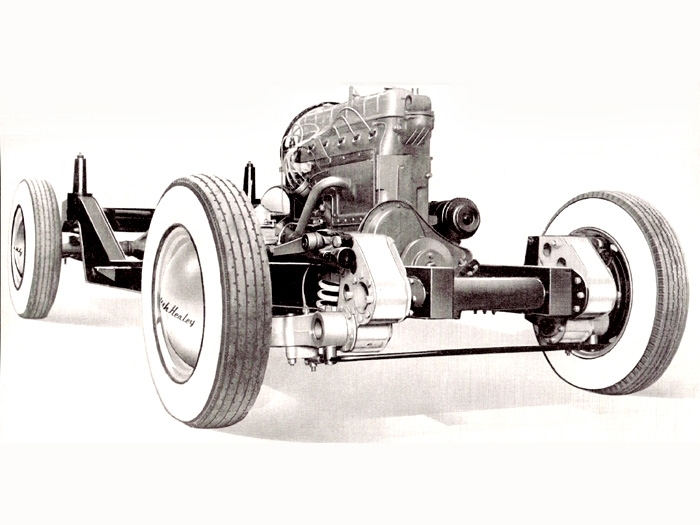 Mason proposed Healey build what was to become the Nash-Healey: Nash running gear on the Silverstone chassis with body by Panelcraft Sheet Metal Ltd. 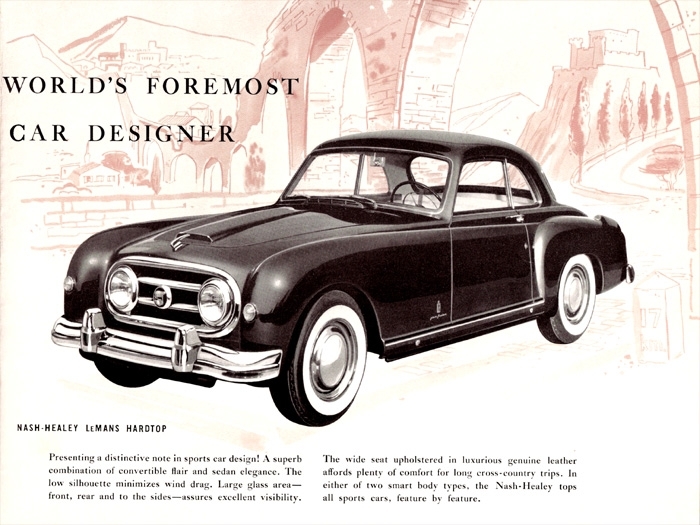 While the 1951 Nash-Healeys were in production Nash contracted with Pininfarina of Turin, Italy to design and produce the second generation body: one that would more closely resemble the rest of the Nash lineup. 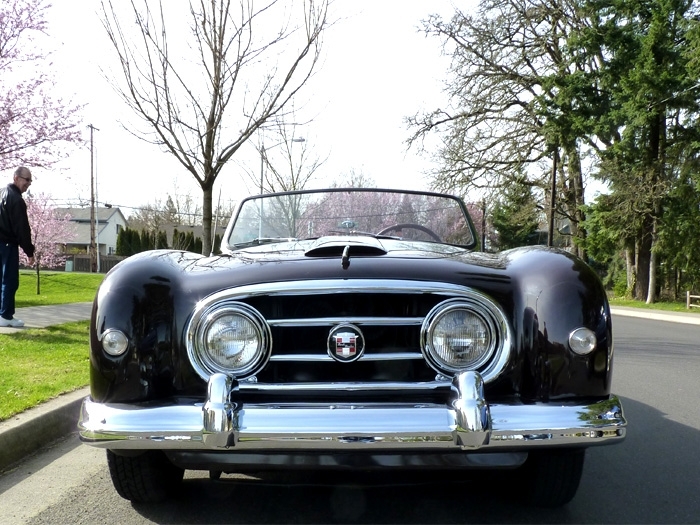 The 1952 Farina-bodied Nash-Healey was a significant improvement over the 1951 Panelcraft design. 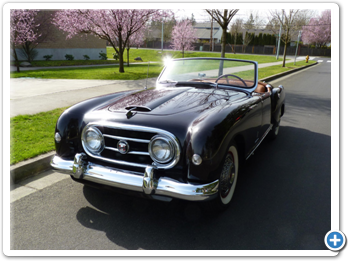 The headlights were incorporated into a Nash-style grill, the split windshield was now one piece, and small tailfins were added. 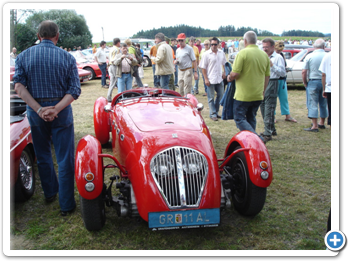 To establish the Nash Healey race-car image, Don Healey entered two cars in the 1952 24-hour race at Le Mans. 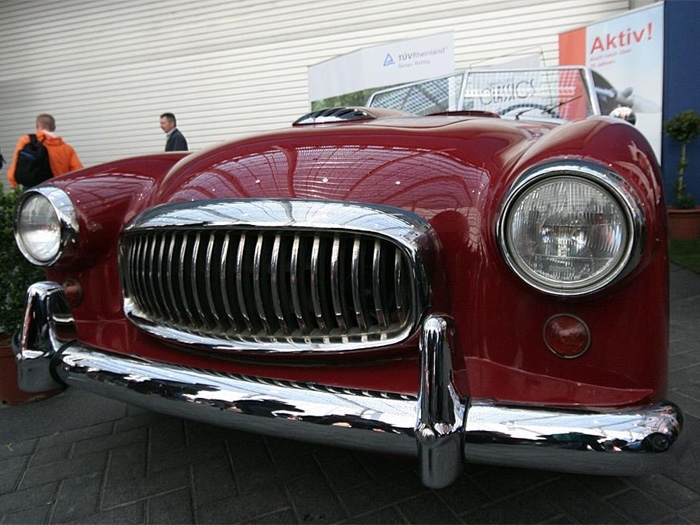 One was a 1951 prototype coupe, remodeled into an open car. 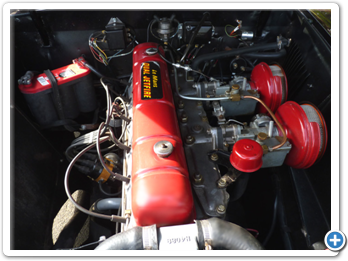 The engine was also modified to generate 200 horsepower, 50 percent greater than production models. Drivers Leslie Johnson and Tom Wisdom saw speeds of 140 mph on the straight-aways, and finished third overall and first in class, defeating Jaguar, Talbot, Aston-Martin, Cunningham and Ferrari. 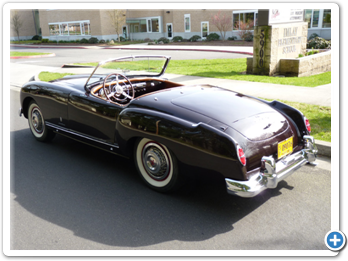 The combined total production for the 1953 convertible and coupe was 162 cars. In January of 1954 Hudson agreed to a friendly merger with Nash, the largest corporate merger to date. 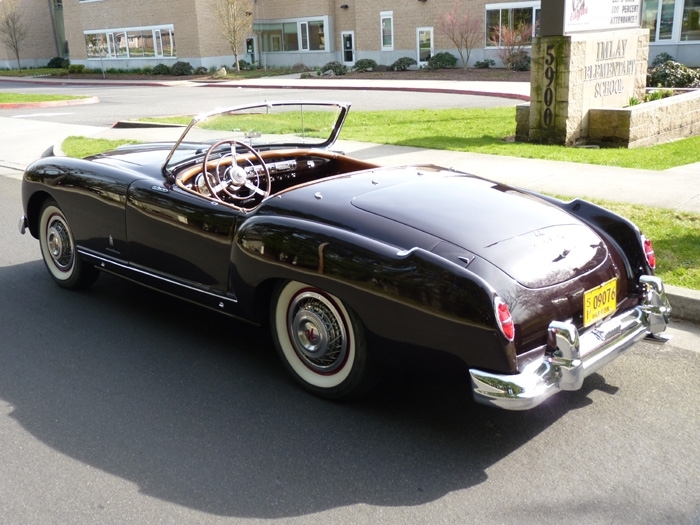 Focused on survival, the resulting American Motors Corporation dropped the Nash Healey in August bringing the 1954 production total to 90 coupes. 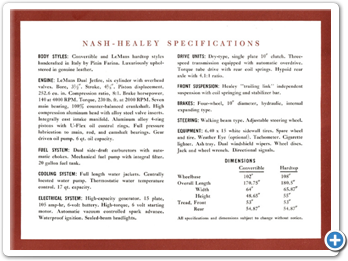 According the The Milestone Car magazine (Summer, 1973) the Nash-Healey’s short life was due to limited-production manufacturing and price. Any limited-production car, without a huge financial empire backing it, cannot be promoted to the degree necessary for lasting market penetration. With so few of these cars to sell, the dealer organization obviously could not vigorously cultivate much buyer interest in the product. 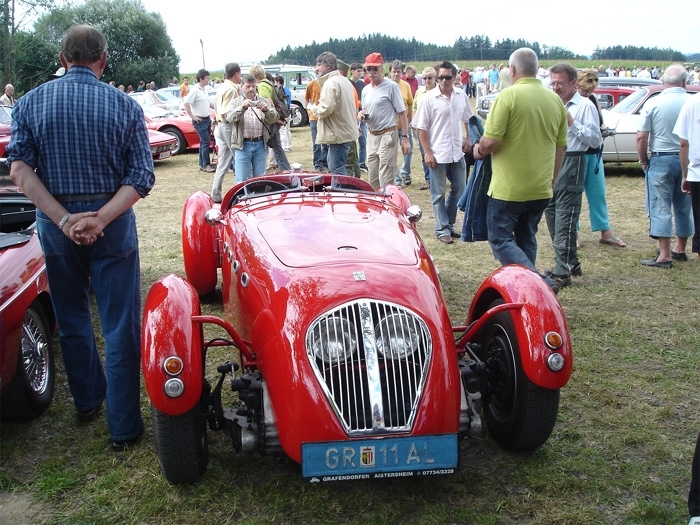 The Nash-Healey was entering the 200 bhp V-8 era with a six of 135 or 140 bhp. While this was definitely adequate, it was just not what the car-buying public was demanding in the sporty car field. It was during 1953 that the Corvette was first produced, and by early spring of 1954, it was a well-known fact that by autumn Ford would have a sporty car available. Another factor was the price. 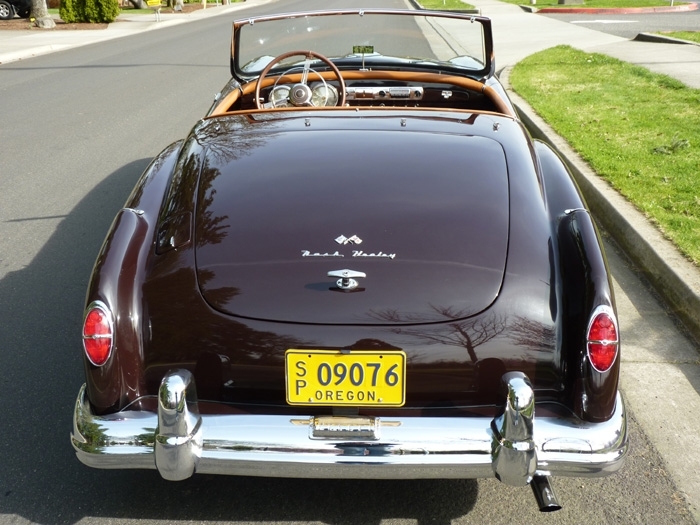 All of the shipping charges that had to be reflected in the price of the Nash Healey brought the port-of-entry price to slightly over $5100 [Price to the public was closer to $6000 compared with Corvette ($3500) and the Thunderbird ($3000)].